Pans, packaging, rain jackets: Perfluorinated and polyfluorinated chemicals (PFCs) are used in many products. Some PFCs are toxic, remain in the environment and accumulate in organisms. Even in breast milk, PFC has been detected. 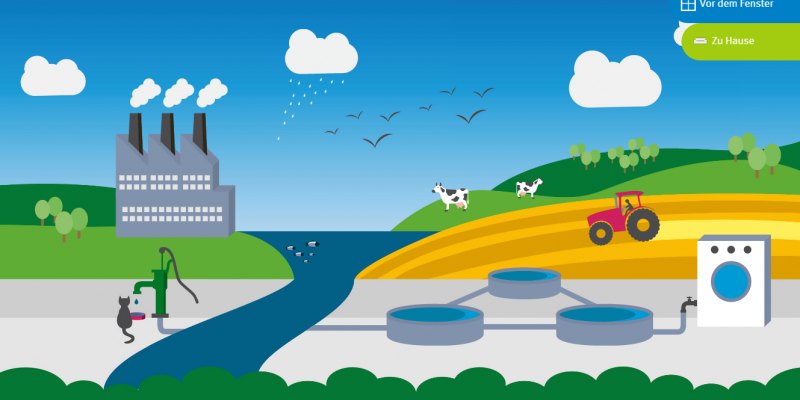 The UBA offer PFC-Planet explains how PFCs get into the environment and the food chain, what the consequences are and what they can do about it. Perfluorinated and polyfluorinated chemicals are used in a variety of consumer products, for example in textiles, paper or extinguishing media, because of their water, grease and dirt repellent properties. This leads to a worldwide distribution of these hardly degradable chemicals. The PFCs also enter the human organism via food, air and drinking water. Videos, animated graphics and short texts show in the multimedia UBA application PFC-Planet, where we come into contact with the unhealthy PFC at home and on the way. It also explains how PFCs spread in the environment and what consumers can do. In the PFC quiz, readers can also test their knowledge of the chemicals. In addition to the desktop version on uba.de , PFC-Planet is also available as a native iPad app for free download from the App Store .